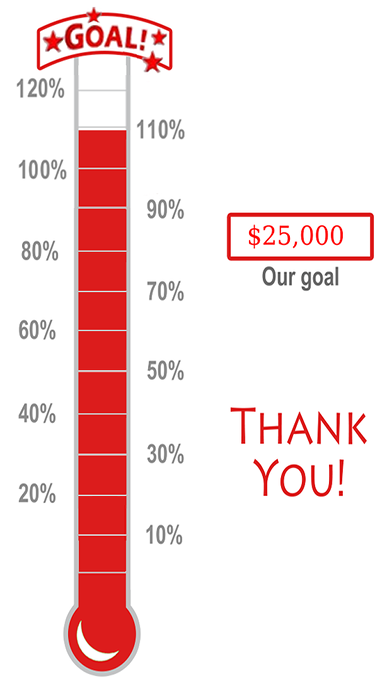 We have met and actually exceeded the $25,000 server fundraising goal we had hoped to accomplish by the end of this year! There are many people to thank, starting with all of you generous donors! There were more than 135 of you from all parts of the world. From the Northern hemisphere to the Southern Hemisphere you reminded us of our incredible connection to the Daffodil. Some of you still have checks “in the mail” or have pledged to send your donation the first of next year. Please send your pledges because Internet expenses are highly variable and can sometimes be unpredictable. Any additional donations will be used exclusively for ADS Internet Suite. We plan to acknowledge all donors in the March issue of The Daffodil Journal and will list all donor names with your state or country, with the exception of those who requested to remain anonymous. Currently, just one single Internet Server, supports all of our ADS Internet services including Daffnet, Daffseek, Dafflibrary, Dafftube, our email services, and mailing lists. This server also hosts a number of local daffodil society sites in the United States as well as a site in the United Kingdom. The current server is now over 8 years old and is becoming unreliable, requiring much more effort, both labor and travel, to operate. It is time to replace this server with new equipment better matched to our current workloads. Internet servers, typically located in data centers as is our equipment require support in three areas, administration labor, monthly data center costs, and capital funding for purchase of hardware and software. The ADS server is currently administrated by volunteers at no cost. The monthly data center costs are funded by the ADS operating budget with costs ranging from a $3,000 to $5,000 per year. The ADS operating budget contains a majority of repeatable expenses and revenue. Rather than paying for this capital expenditure from this budget, we have decided to have a capital campaign to raise the needed funds. Our goal is to raise $25,000, by year end, if possible. The funds will be used to replace the current equipment, to provide a better back-up facility, and to better match our current Internet workloads. Should the funds raised exceed the amount needed, the excess funds will be held in a special account designated for internet services. These are reserved funds which will not be intermingled or reallocated for any other purpose. If you feel as passionate as we do about Daffseek, Daffnet, DaffLibrary or any of our sites and want to help us maintain these services to the world, please donate. You may donate for this fund raiser by using a Credit Card, PayPal, or a Check. A letter will be sent to you acknowledging your donation at the beginning of next year. In many cases your donation will be tax deductible.